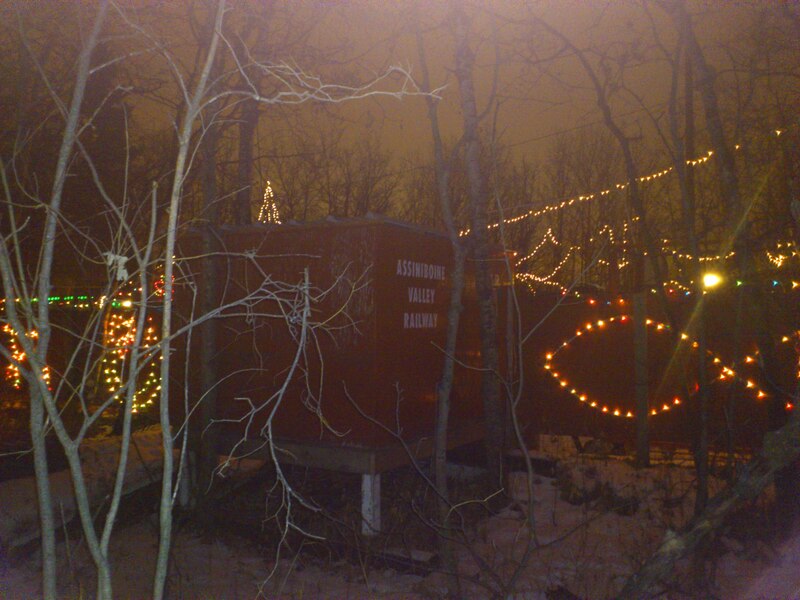 Winnipeg’s Winter Wonderland: The Assiniboine Valley Railway. | Exploring Winnipeg and Beyond. ← Parents have you gotten your own Elf on the Shelf?? 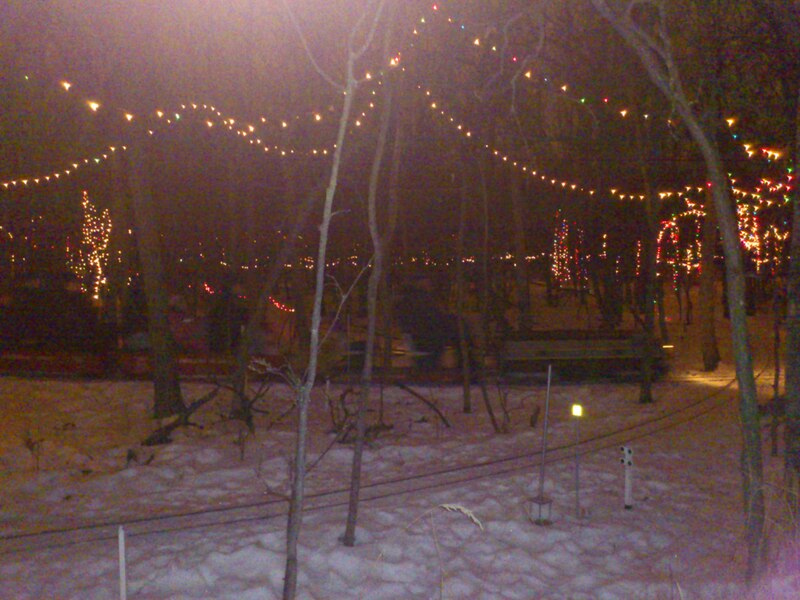 Winnipeg’s Winter Wonderland: The Assiniboine Valley Railway. 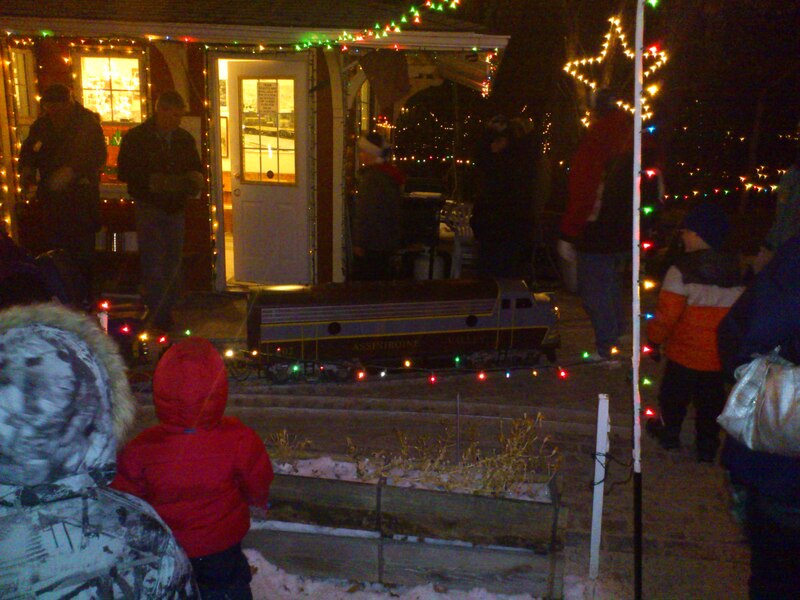 Last night Dar and I took our nephew Eric out for a night of Winnipeg Christmas tradition, we took a spin on the Assiniboine Valley Railway. In the early 1980’s Bill Taylor, a model train enthusiast with a large property in Charleswood was doing an expansion to his house and had a vision. He dreamed of taking the 1000 foot HO gauge railway that he had in his basement and moving it outside to create a train mecca in Winnipeg. Unfortunately for Bill the recession of the early 90’s dried up funds for his dream but by 1995 he and his fellow enthusiasts began clearing brush on his extensive holdings of land that border the western edge of Winnipeg’s sprawling Assiniboine Park. 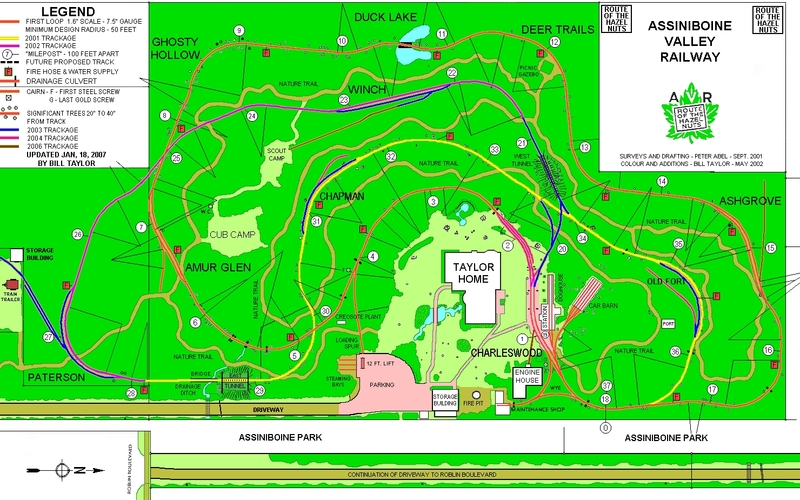 By 1996 the railway was in the testing phase and with deep snow on the ground some 500 adventurous Charleswood residents came by for the inaugural runs of the A.V.R. 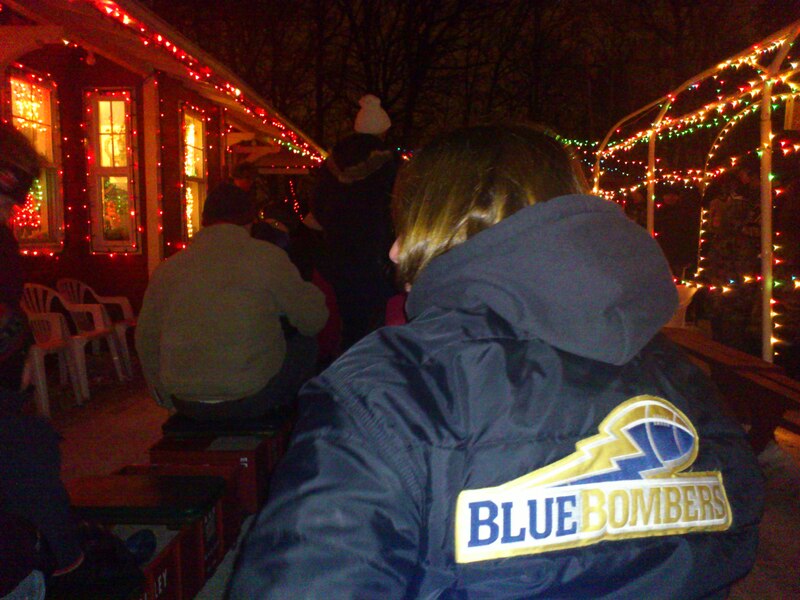 Boasting over 800 feet of track with approximately 600′ of that illuminated by arches of Christmas lights. By Christmas of 2001, the railway and word of mouth had grown almost exponentially. 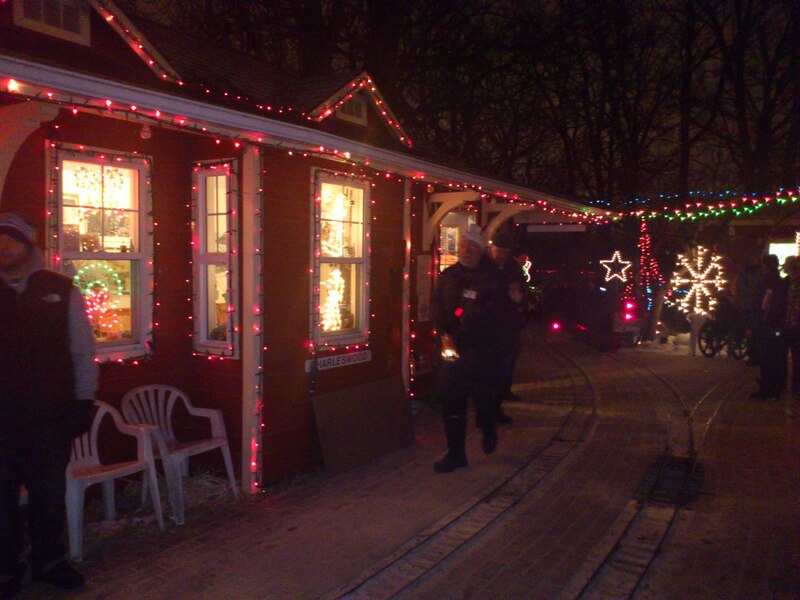 Some 12,000 people showed up that year for a spin on the train, through the winter wonderland and it’s now 48,000+ lights, all for the cost of a donation to charity. 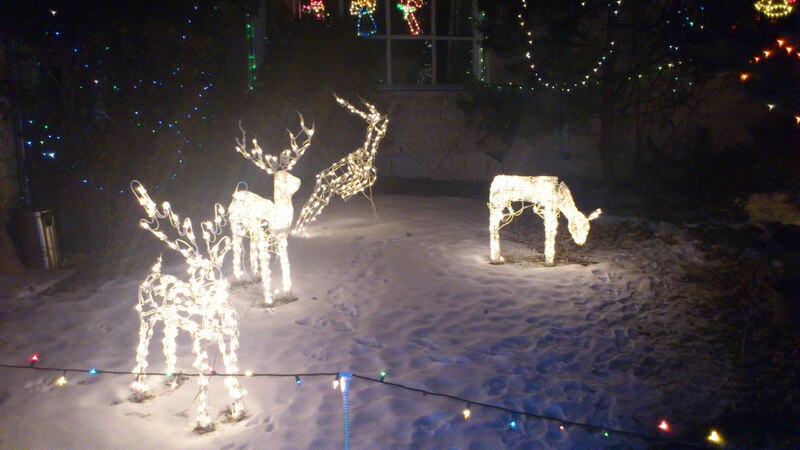 There's a small herd of the magical deer, one's jumping to take flight! 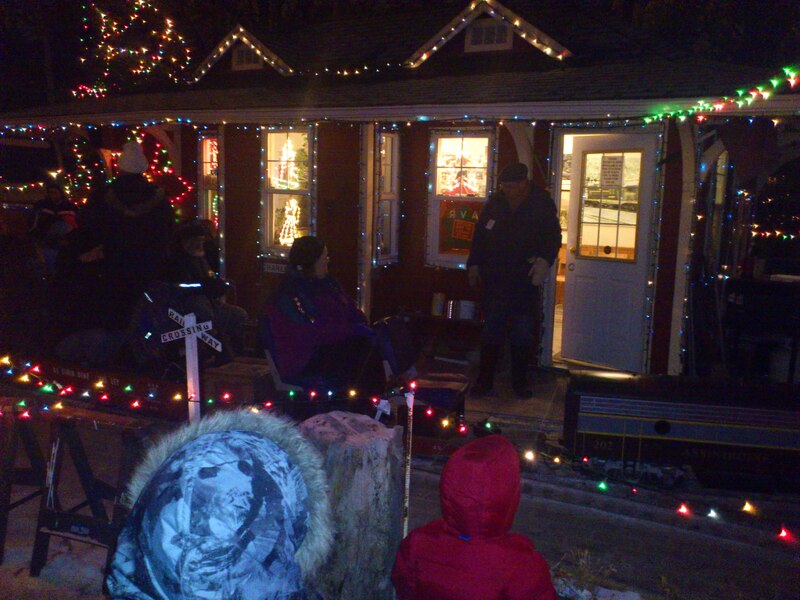 Today the Assiniboine Valley Railway takes families on it’s Christmas light runs on over 3,700 feet of track consisting of two separate train lines and through a light and music display consisting of over 100,000 lights shaped into almost every imaginable Christmas theme. 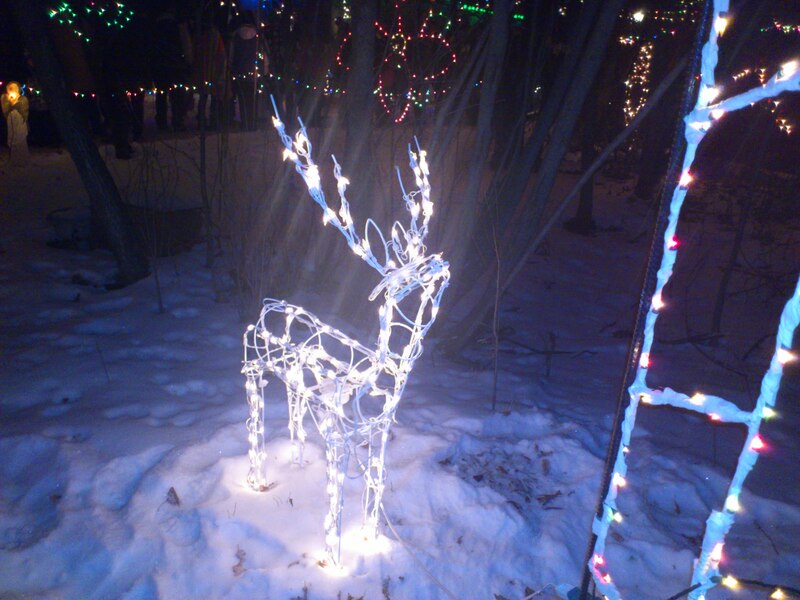 This display would be truly worthy of great honour in Santa’s North Pole kingdom, let alone in the rustic woodlands of Charleswood. Last night we waited with literally hundreds of others all shuffling in line with perpetual grins on our childlike faces. 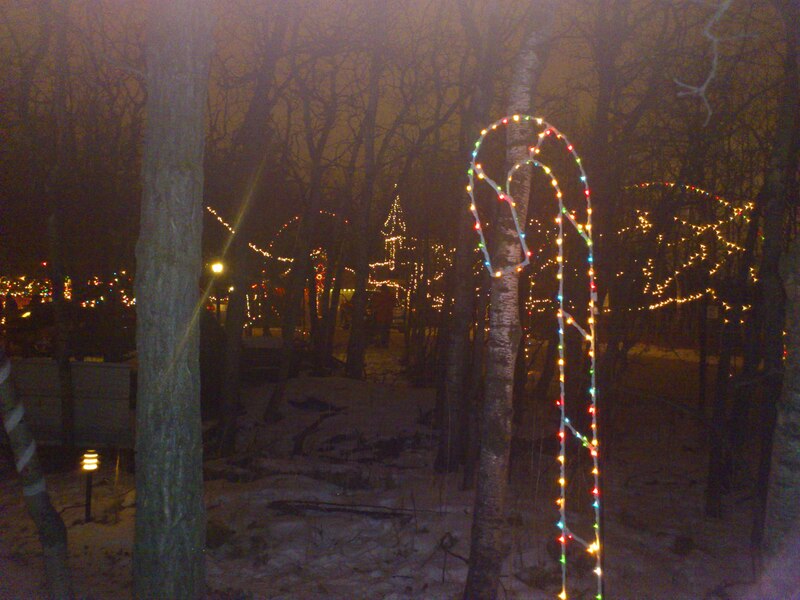 Even as you walk through the forested property the lights are simply outstanding. As we got closer to the train station the strains of music greeted our ears as Christmas carols drifted through the birch and elms. The train station came as a welcome sight after spending over an hour outside in the cold and snow. I dashed forward through the line to purchase our tickets for the ride. A bargain at $2.00 per person and with proceeds going to charity I gave the conductor a 10 for the three of us and called it even. Once in the boarding line, little Eric started to get really excited, we could see the trains entering and exiting the station each carrying some 15 or 20 Christmas passengers. Soon it was our chance to board the tiny train. Each train only stands about 2 feet high and is electrically driven pulling some 10 or 15 wagon like flatbed seating stations. The gauge of the railway is only roughly a foot across so balance is strictly enforced by the railway volunteers. Darlene was seated first in our wagon like car, then Eric and myself rounding out the flatbed. We were instructed to keep our selves balanced in the middle of the car at all times while also keeping our hands in as tree branches would be coming within inches of our bodies. 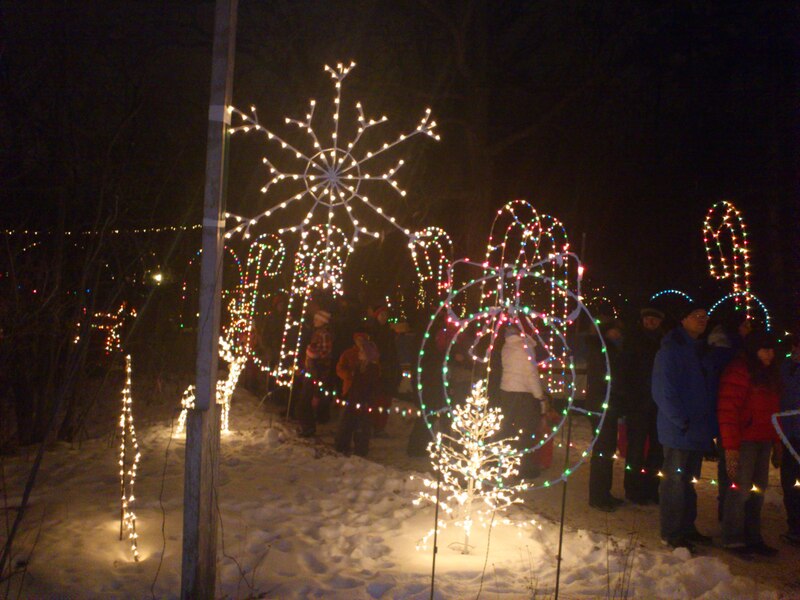 With that we were off, through the maze of deer paths and thickets now strung with glorious Christmas lighting. 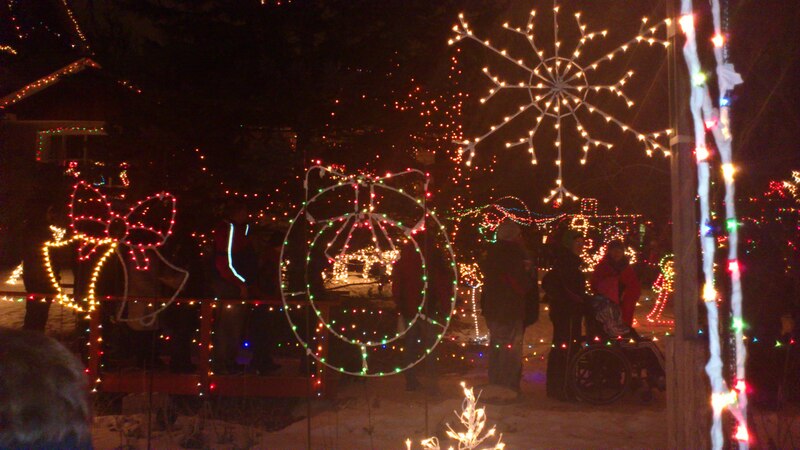 We zipped through tunnels of lights, past candy canes and teddy bears. 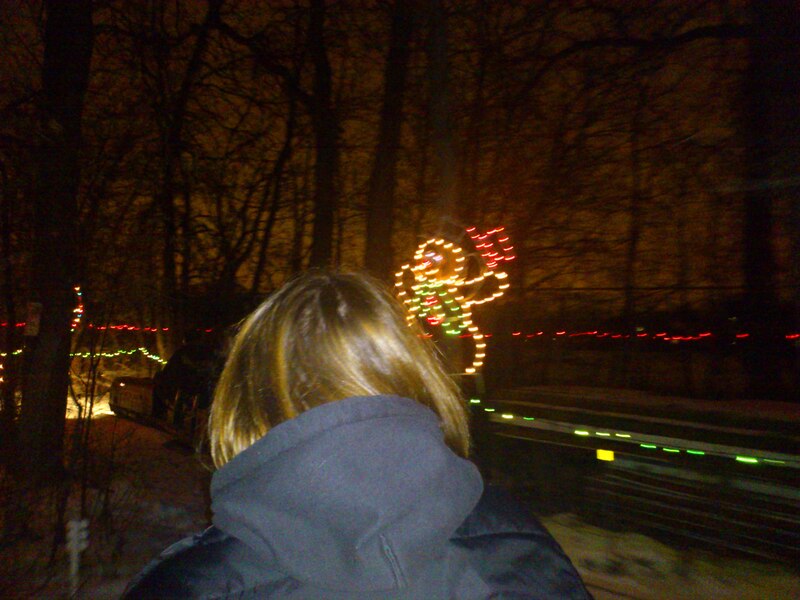 A sea-serpent crossed our path for an instant as it emerged from the snow and cold lit with Christmas cheer. Eric was captivated, literally squealing with delight at the surprises that turned up around every corner. Past more boxes of presents and images of Santa Claus until at last the ride slowed to a halt back at the station house. 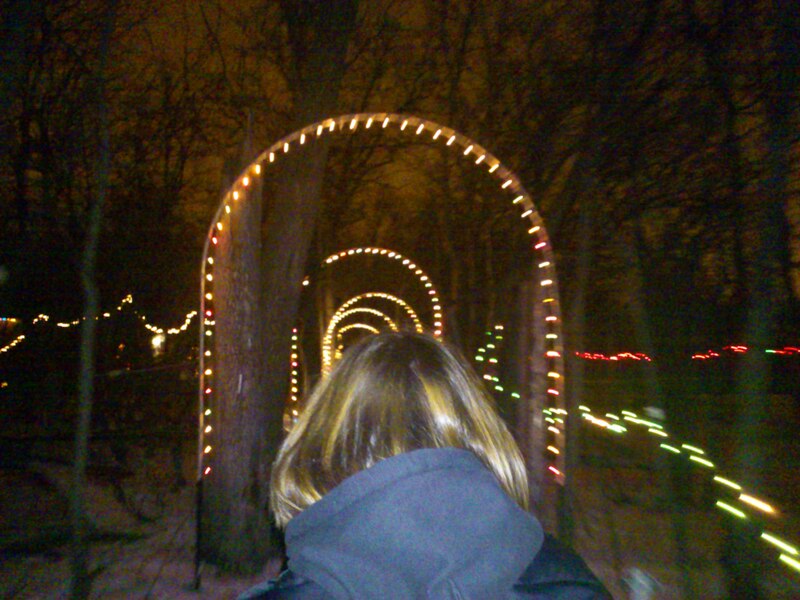 Starting our journey, though the first tunnel of lights! Our ride was over for the evening but I know that the wonder that Bill Taylor and his crew of family and volunteers give to the community will last in Eric’s heart and the hearts of all the hundreds of other children this season the whole year through. Thank you Bill and Assiniboine Valley Railway. Check out these Youtube videos to help get your mind around the Christmas at the Taylor’s experience. This one from Traingeek really shows the lights in action on the run. 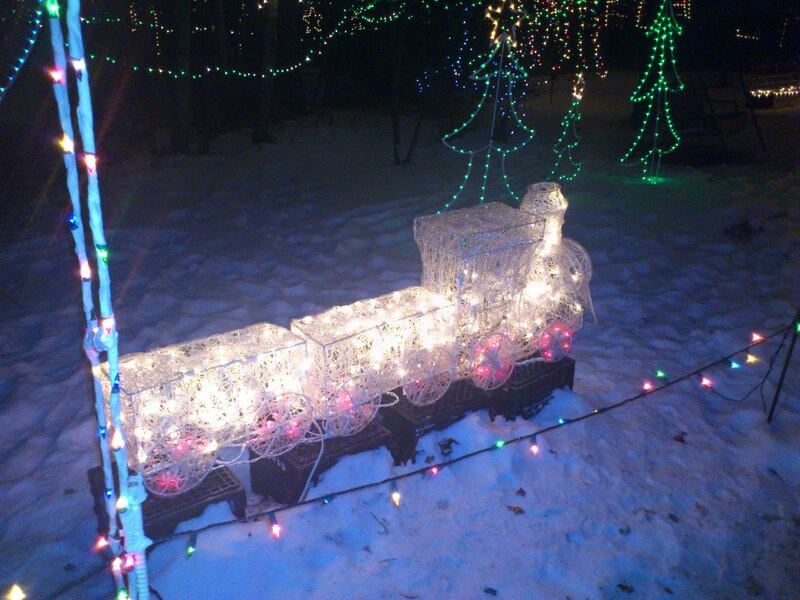 This entry was posted in Why Winnipeg Rocks!, Winnipeg Events and tagged Assiniboine Park, Assiniboine Valley Railway, Bill Taylor, Charity, Charleswood, Christmas, Christmas Lights, Christmas Season, CTV News, Family Christmas, Santa Claus, Small Gauge Railway, Traingeek, Winnipeg, Winnipeg Harvest, Youtube. Bookmark the permalink. this looks amazing,must of been fun,Eric must of been in his glory,,,,he would appreciate this for sure,you & Dar made his xmas extra special for sure,…………. Eric was having a blast! Thanks for having us for Christmas lunch today, I am glad we could get some family together and share the day with you. Thank You for posting that incredible video of the lights Steve. 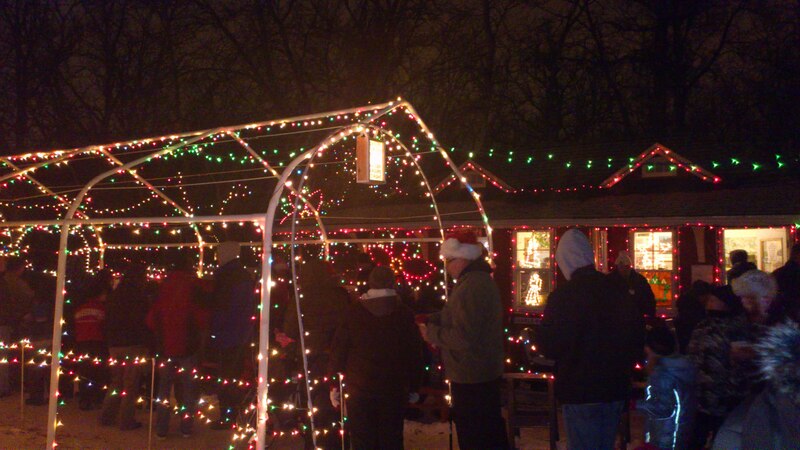 It really is a Charleswood institution and a great way to celebrate the Christmas season all the best to you and yours this holiday! Welcome FBH, I try to always give my readers a glimpse into the wonders of Winnipeg. We do have more than our fair share of cold and snow but the people of this little city on the prairies are warm and hospitable. Wishing you and yours all the best of the Christmas season! Pingback: Winter? What’s that? | Exploring Winnipeg and Beyond.